Free up more production time by overnight cooking corned beef, lamb chops, braised beef short ribs, confit and even yogurt. Cook your food to perfection and hold for hours without compromising food quality. No fans. No added humidity. No hood needed. Only big flavor. Curious to know more? Here are the seven benefits of cook and hold oven technology. Start cooking the night before to save on labor costs. Your food will be cooked to perfection and waiting for service the next day. With a variety of sizes and options for your kitchen, even the smallest of operations can expand menus by using a cook & hold oven to provide consistent results with every batch. Using the programmable features on the deluxe control models, you can store your eight favorite recipes for simple one-touch menu selection. Set the holding temperature and the simple control to cook by time or use the probe to cook to a specified temperature with the deluxe control. The oven automatically switches into hold mode when the cook cycle is complete. Serve more portions from the same cut of meat to increase your profit margin. 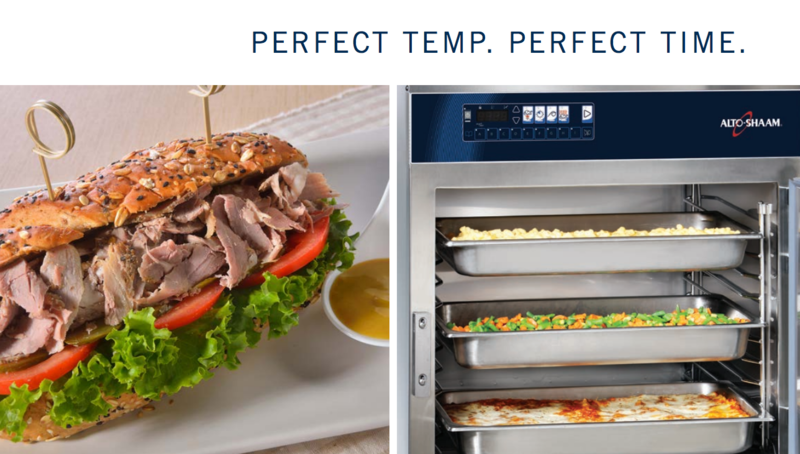 Cook & hold ovens can have about 18% less protein shrinkage than traditional convection ovens. Make the most of less expensive and underutilized cuts of meats. Brisket, flat iron and other cuts of meat tenderize more with every hour in hold mode. Save on utility bills by cooking a load of food for less than $1 in electricity. Get out from under the hood and place your cook & hold oven anywhere in the kitchen, saving up to $30 of operating costs each day. The biggest benefit? Yield and ROI. See how Alto-Shaam cook and hold technology will benefit your specific operation including yield calculations based on your own numbers.